Wufoo is a tool that makes it easy to collect information over the Internet. 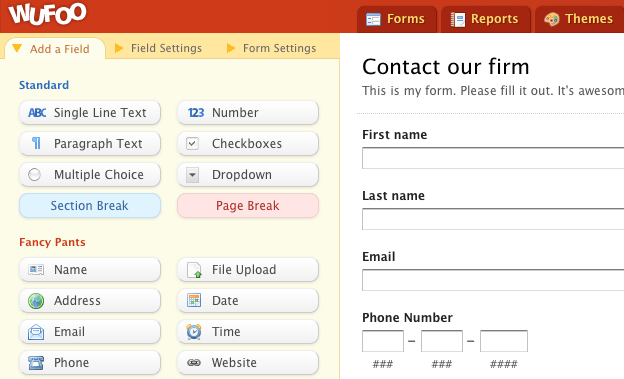 Wufoo does so by helping you create web forms that web users will fill out. The user’s data is immediately saved directly into your favorite web apps. No more copy-pasting folks! Pretty neat eh? Now, with this integration, you’ll be able to save that info straight into Solve too! Good point! Yes, there already is a way of capturing data into Solve, but because this one uses Wufoo, it may very well be the simplest yet.